A very corny heading to very serious skincare product. 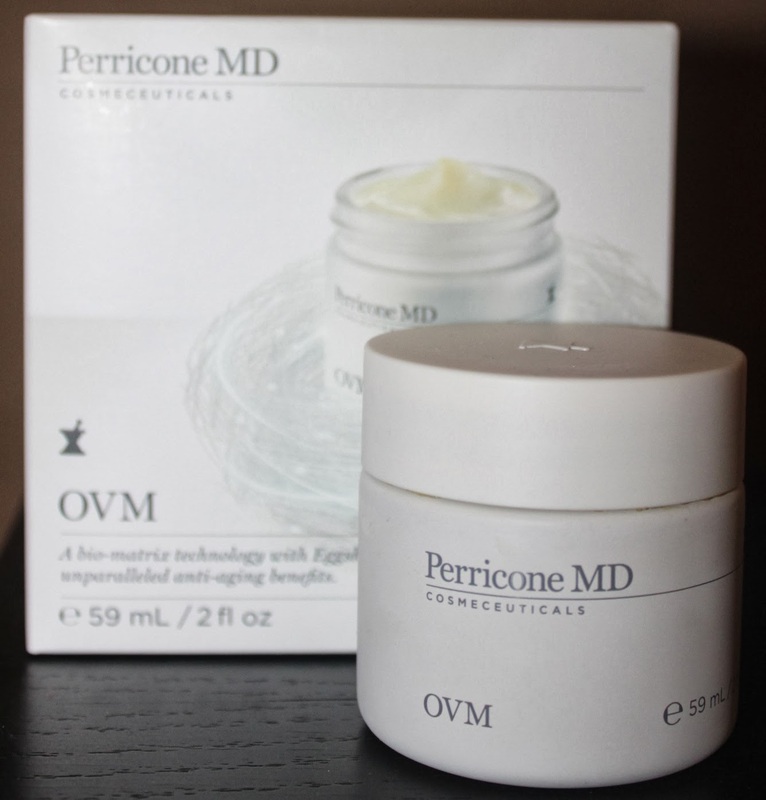 OVM was launched at Sephora at the end of last year and a few weeks earlier on the Perricone MD site. I received mine for review a few weeks back and am now ready to share my thoughts with you. This product is a new innovation, which takes thinking ‘out of the box’ to new heights. In the past Dr Perricone has focused many of his products on Alpha Lipoic Acid and DMAE, of which I am a huge fan. Then came his Blue Plasma range (formula 15 and other Perricone lovelies) and now OVM. This unique product works on re-energising the skin and adding volume, which as you age, is lost. The idea behind the product, is based on how the membrane that surrounds an egg nourish’s and protects the egg yolk and white within. OVM was born. It is described as “A bio-matrix technology with Eggshell Membrane that delivers unparalleled anti-aging benefits.” It sounds sci-fi, but grounded in real science!